"Copper can combat lethargy, passivity, restlessness, excitability, and non-acceptance of oneself. It can stimulate initiative, optimism, diplomacy, and independence. It has been used successfully to amplify and transmit thought. It is said to be a "bestower” of good, bringing benefit to the user. 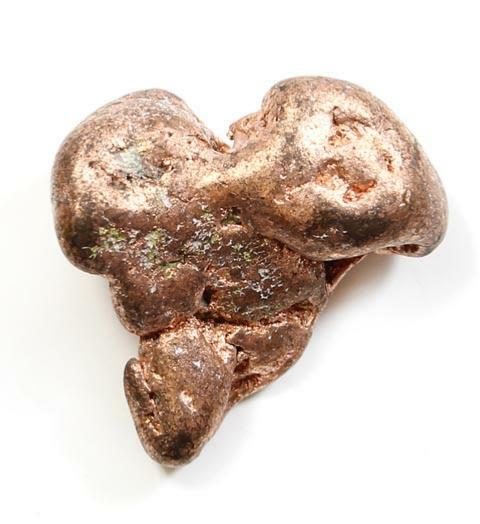 Copper activates and opens the base and sacral chakras, advancing and stabilizing the energies of intuition, sexuality, desire, and vitality – directing these energies towards the pursuit of one's path of evolution.” Melody, Love is in the Earth.